Unlocking your iPhone could be as easy as looking at it. Recent iPhone 8 rumors have left the future of Touch ID unclear. Some indicate it will remain, but in a new position, while others warn that Apple plans to replace it with iris scanning and facial recognition. These aren’t entirely new technologies; other manufacturers have been offering them for years with mixed results. But can Apple deliver a solution that’s simple, fast, and secure enough to replace the fingerprint scanner? 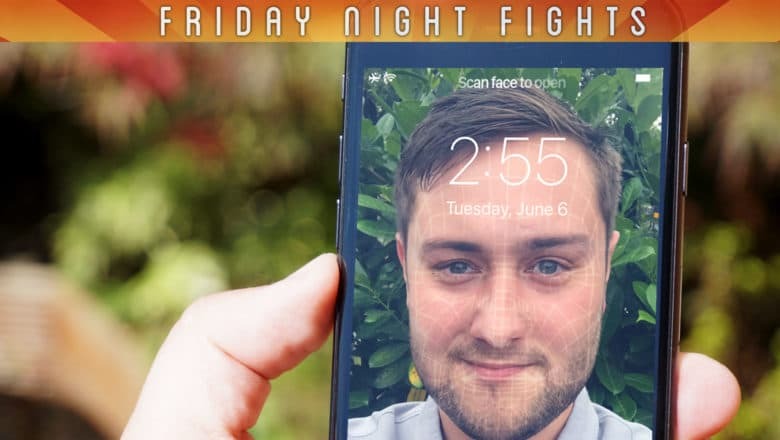 Join us in this week’s Friday Night Fight as we battle it out over whether the iPhone can bid farewell to Touch ID. Is Apple's design team losing its way? Apple is famous for its iconic designs, but is the company slowly losing its way? Products like the Apple Pencil and Smart Battery Case suggest that Apple’s design team might be missing a certain spark. Even the iPhone, once the prettiest smartphone by a long shot, is now being outshone by rivals from the likes of Samsung and LG. Join us in this week’s Friday Night Fight as we battle it out over whether Apple design has become lazy and boring. And be sure to have your say! Are you pleased with what you saw at WWDC 2017? This year’s WWDC keynote was an early Christmas for Apple fans. It delivered the big updates to iOS, macOS, and watchOS we were eagerly anticipating; a 10.5-inch iPad Pro; updated Macs with Intel Kaby Lake processors, plus nice surprises like the iMac Pro and HomePod. But is this Apple back at its best, or do we need more out of Cupertino? Are fancy software updates enough to breathe new life into boring hardware? Is Apple’s new push into virtual reality and machine learning too little, too late? 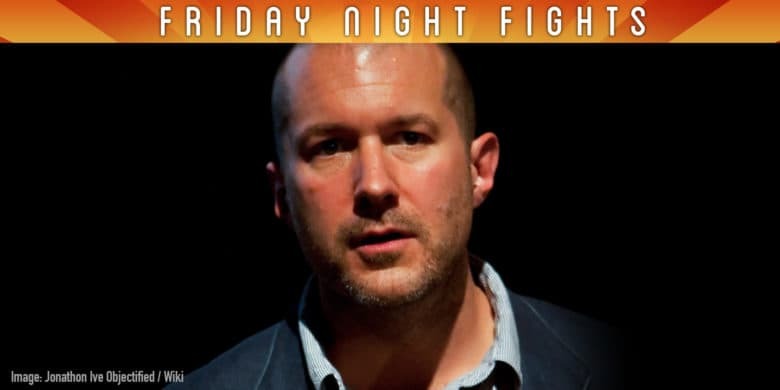 Join us in this week’s Friday Night Fight as we battle it out over a bumper WWDC! Will Apple produce anything spectacular? Apple’s first major event of 2017 is right around the corner. WWDC will deliver our first previews of the next big upgrades to its software platforms, with the possibility of new hardware thrown in for good measure. But with three months left to wait for the iPhone 8, will the event really be all that exciting? Will Apple’s improvements to iOS and macOS be all that significant? And is anyone actually looking forward to a 10.5-inch iPad Pro? 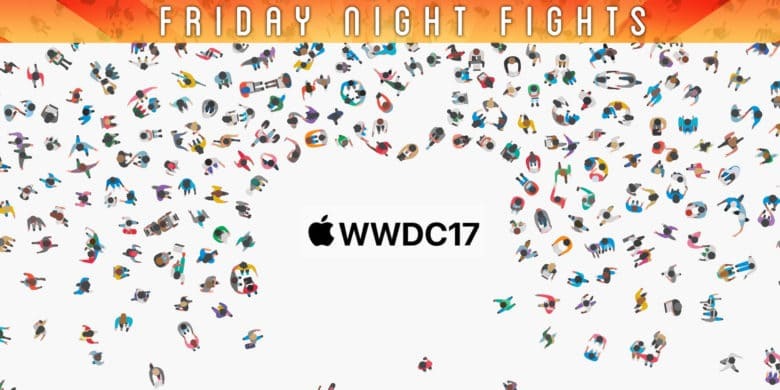 Join us in this week’s Friday Night Fight as we discuss whether WWDC 2017 will be worth watching. Is Apple in desperate need of new ideas? It’s been some time since Apple delivered something really revolutionary. Every product in its stores looks just like it did last year… and the year before that… and the year before that. Fans will pin most of the blame on chief design officer Jony Ive. After more than two decades of spectacular and unparalleled ideas, it seems Steve Jobs’s best friend is running on empty. Is it time for him to go to make room for fresh blood and new ideas? 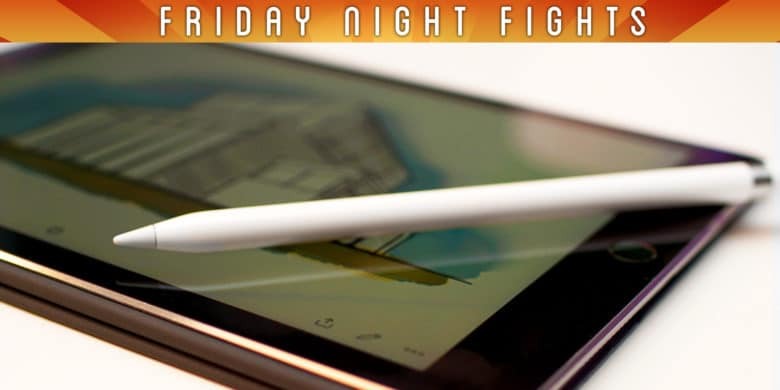 Join us in this week’s Friday Night Fight as we battle it out over whether Apple’s design team needs significant change. The gap is getting wider. Google brought its Google Assistant to iOS this week, finally giving iPhone fans a taste of the best virtual assistant on the planet. But those on Android are in for so much more, with major improvements on the way, including impressive Google Lens integration. The changes make it harder than ever for Siri to catch up. Despite the improvements Apple made with iOS 10, it still feels like Siri is well behind its rivals. Is that gap now too big, or can Apple catch up? Will Siri ever be as good as the Google Assistant? 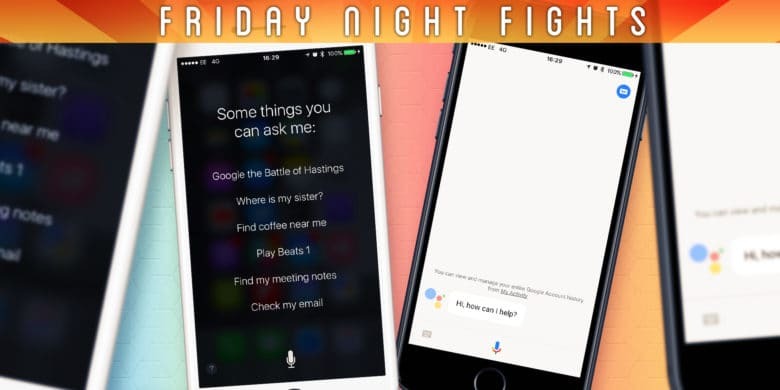 Join us in this week’s Friday Night Fight as we wage war over virtual assistants. Do you find it difficult to choose Apple products? Apple currently offers more products than ever before. Whether you’re buying an iPhone, an iPad, a Mac, or even an Apple Watch, there are a bunch of options to consider before you hand over your cash in an Apple store. Having options is always a good thing, but has Apple’s product portfolio become too confusing for consumers? Does the company even have the resources to keep everything fresh and fully-supported, or is its larger lineup hurting its products? 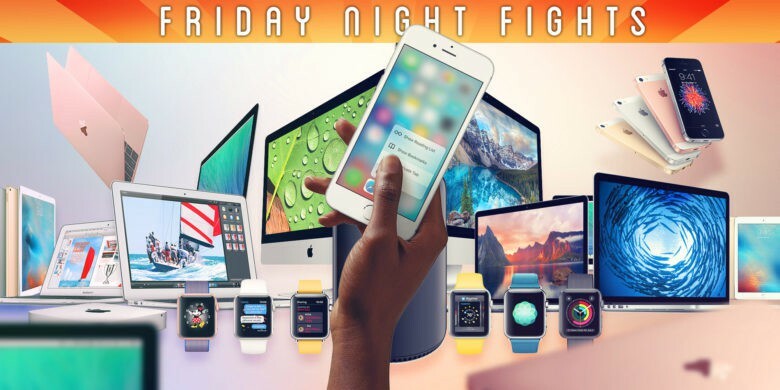 Join us in this week’s Friday Night Fight as we battle it out over whether it’s time for Apple to streamline its product lineup. Recently “leaked” schematics for Apple’s next-generation iPhone reveal the company could be returning to a sharper, squarer form factor similar to that of the iPhone 5. They also hinted at a big change for Touch ID. With Apple expected to eliminate the Home button from this year’s iPhone, its fingerprint scanner could be relocated to its back — like on many Androids. This would free up space on the front of the phone for a larger display, while maintaining the secure and super-fast biometric sensor we all love. But is a rear-facing fingerprint scanner a smart move, or should it remain on the front of the iPhone? 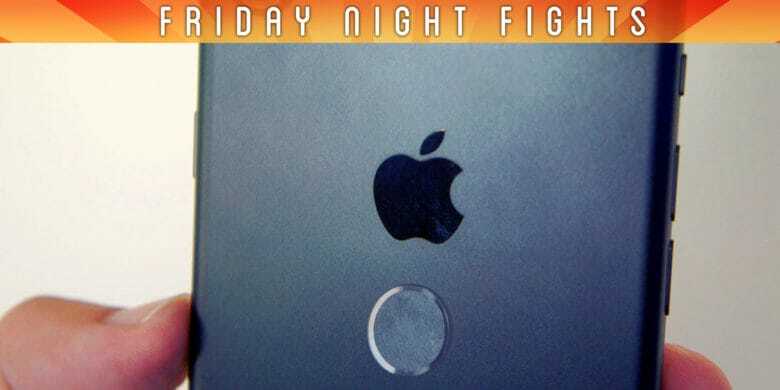 Join us in this week’s Friday Night Fight as we battle it out over the iPhone 8’s Touch ID button. Would you buy a smart speaker powered by Siri? Apple might have popularized virtual assistants, but Siri has fallen behind in recent years as rivals like the Google Assistant, Amazon Alexa, and even Microsoft Cortana pull ahead with greater capabilities and unique features. One area in which Siri is lacking is in standalone devices like smart speakers, such as Google Home and Amazon Echo. Isn’t it about time Apple caught up with a smart speaker of its own powered by Siri? 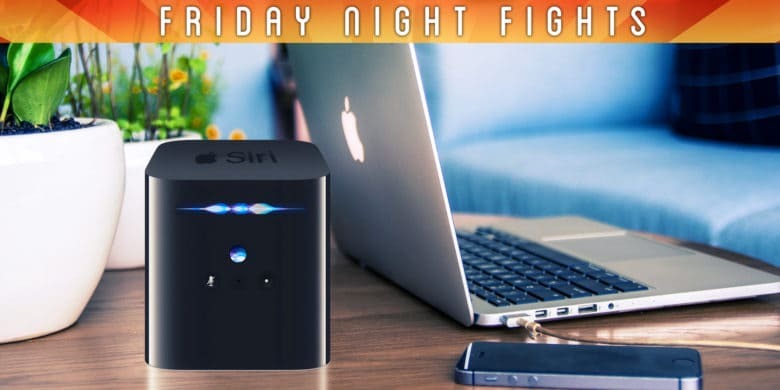 Join us in this week’s Friday Night Fight as we throw punches over a Siri speaker. Are you waiting for the new Mac Pro? Apple excited us all this week by revealing it is finally planning a major redesign for the neglected Mac Pro. Although we don’t know much about it just yet, we’ve been promised a modular machine that will be easier to update. This signals a return to a more traditional desktop form factor with user-upgradeable parts and more flexibility. But is it too little, too late? Has Apple already lost too many pro users, and will its next Mac Pro do enough to win them back? 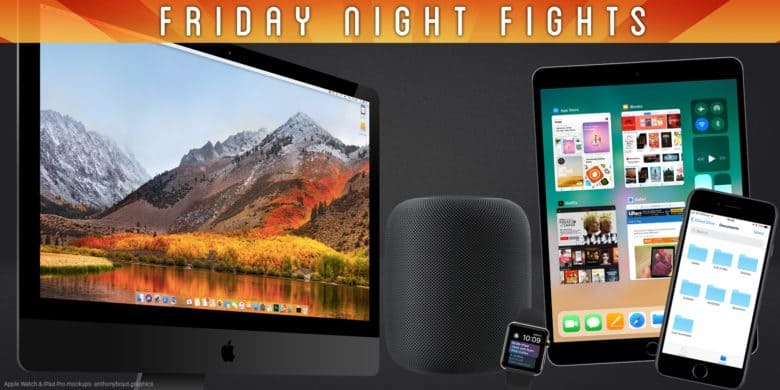 Join us in this week’s Friday Night Fight as we battle it out over Apple’s efforts to win back the professionals.